On April 19, 2019, World IBS Day, the IBS Patient Support Group began a new conversation about Irritable Bowel Syndrome. On that day, most people were not talking about Irritable Bowel Syndrome. But the numbers of patients spoke volumes about the urgent need for action. Thousands of people, including leading doctors, engaged in an open discussion about IBS, offering new ideas and hope for those who struggle, with more sufferers every year. 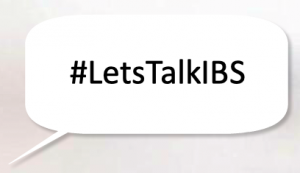 As a result, every region, large and small, received an increased awareness from IBS Patient Support Group’s Let’s Talk IBS and from industry and corporations that are joining the cause. On every April 19th the IBS Patient Support Group is asking you to use the hashtag(s) #LetsTalkIBS, #IBSAwarenessDay or #WorldIBSDay on all your social platforms. Use it once, use it often. Together we can raise awareness about Irritable Bowel Syndrome on World IBS Day. More information at World IBS Day. World IBS Day is coordinated by the IBS Patient Support Group.